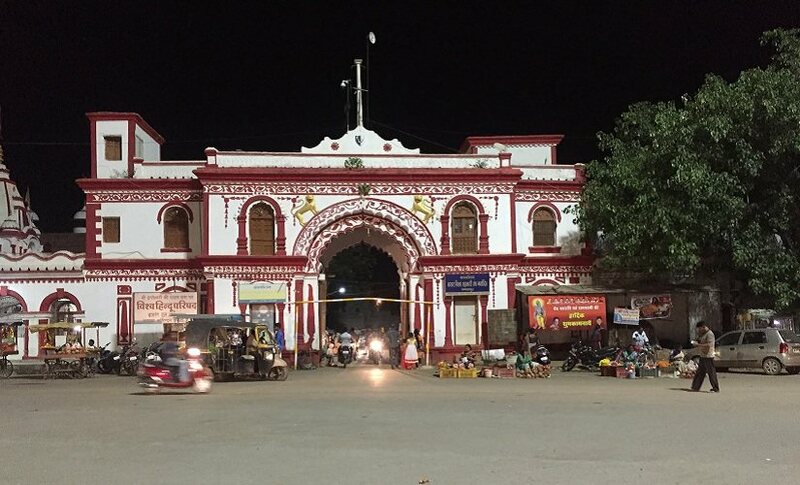 Jagdalpur, Bastar: In the largely-forgotten blood-soaked history of India, it may be recalled that on 25 March, 1966, when Chhattisgarh was Madhya Pradesh and tribals had not made the headlines, Pravir Chandra Bhanj Deo, the Raja of Bastar, was killed in his Jagdalpur Palace by the Indian police for 'waging war against the State'. The cliché that the phrase 'waging war against the State' has now become, carried a bestial brutality when the Indian State was still finding the ground shaky beneath its feet. And the state, to fight the new menace, had only one answer: Guns. It mustered all the firepower at its disposal against those it thought were battling it. The raja was mercilessly killed in a blood-splattered room. 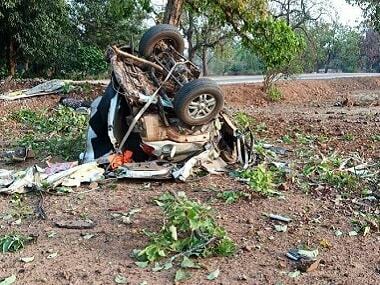 And it is from here, the bumpy, bullet-riddled road to the Bastar Bloodbath starts. Bullet by bullet, it was paved. Bhanj Deo, 36, at the time of his death and immensely popular among the tribals, wanted a different model of development, and his plans, before they took root, met with resistance from the State, which had its own idea of mainstreaming tribals. It was a clash of civilisations, one benighted and the other bellicose, that has now morphed into a nasty, finger-at-the-AK47-trigger duel that makes the Indian State wince. Development, undergirded by the Indian State, continues with bumptiousness, and so does the war against the State, by implacable tribals who see it as blustery. 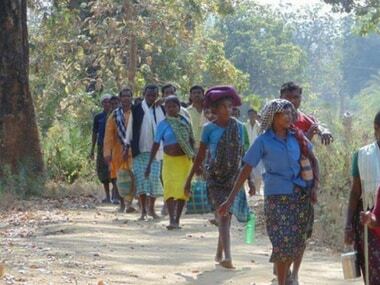 The tribals have for long considered 'development in Bastar' an unwelcome attempt by the Indian State to mainstream them. The November election result in the two tribal regions in Chhattisgarh — Bastar and Surguja, where the BJP brandished development as a formidable poll plank — bears this out. Of 12 seats in Bastar, the BJP won only one. Meanwhile, the party lost all 14 in Surguja. The previous Raman Singh government created a network of roads; built an airport, a skill city, education hub, multi-speciality hospital, a BPO, and a digital village at erstwhile Naxal stronghold Palnar. None of these, however, were enough to motivate the tribals to vote for the BJP. The saffron party lost to Congress' slogan for change. But that was the Assembly election. What about this Lok Sabha election, over which a serious Naxal threat looms, especially after the Maoist attack on Tuesday that killed a sitting MLA and four security personnel? 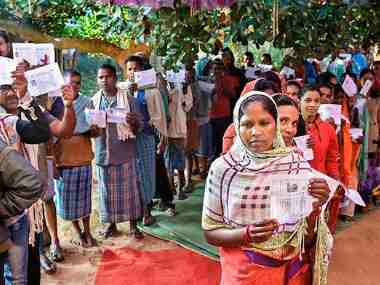 All eyes are set on the single parliamentary seat of Bastar in the LWE (Left Wing Extremism) category, which goes to the polls on Thursday. What will work for the voters – the development work done by the previous BJP government and the Narendra Modi factor or the promises made by the present Congress government like loan waivers to farmers? The Bastar parliamentary constituency is reserved for the Scheduled Tribes candidate. It has eight Assembly seats — Kondagaon, Narayanpur, Bastar, Jagdalpur, Chitrakot, Dantewada, Bijapur and Sukma; of which seven belong to the Congress and one to the BJP. 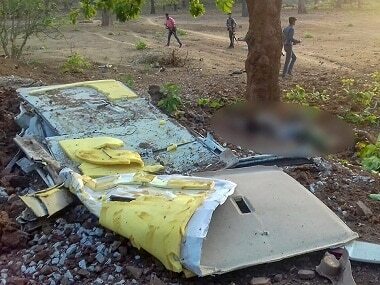 The lone BJP MLA from Dantewada, Bhima Mandavi was killed in a gruesome Maoist attack on Tuesday evening. At his rallies in Dantewada, Mandavi had provided assurances that the BJP would lead by 20,000 to 25,000 votes in his Assembly segment. While the Congress is riding high on confidence due to its landslide victory in the Chhattisgarh Assembly election last year, the BJP is boosted by its 2014 victory in which the party had won 10 out of 11 Lok Sabha seats. However, 2019 is not 2014. Back then, there was the Modi wave, unlike now. The ticket distribution formula of the BJP in Chhattisgarh — where all the candidates, including sitting MPs have been replaced by new faces — may pose a tough time for the party. Factors favouring the Congress are waiving farmers' loans, increasing the paddy purchase price from Rs 1,700 to 2,500 per quintal, two-year bonus to farmers, hike in purchase price of Tendu leaves to Rs 4,000 from Rs 2,500 per bag, returning the unused land taken by the Tata Group for a steel project to tribal villagers, efforts to protect tribals from the Supreme Court's eviction order and government in the state. Factors favouring the BJP are development work by the Raman Singh government, an efficient public distribution system through smart cards, rice at Rs two per kilogram, performance in the 2014 election (the party won 10 seats), and, Brand Modi and his government at the Centre. Bhujit Doshi, member, State Research Cell of the Congress and ex-spokesperson told Firstpost, "The farmers of Chhattisgarh have realised that the promises made by Congress president Rahul Gandhi have been met. The farmers' loan waiver, increasing the purchase price of paddy, payment of two-year bonus to farmers etc — these will all work in favour of the Congress not only in Bastar, but in the entire state." "No one, not even the party expected that Congress would win 68 seats (out of 90) in the Assembly polls, but it did. In the past 15 years of BJP rule, some 100 people in the party called the shots. All plum posts from ministers to MPs and MLAs and chairmen of corporations went to these people. The rest of the party workers and members were ignored. The BJP's development was corruption-oriented development. The BJP paid the price for its highhandedness in the Assembly election. The feat will be repeated in this Lok Sabha election as well," he said. The Congress candidate Deepak Baij is the sitting MLA from Chitrakot and it's at Lohandiguda in his constituency where the tribals got back their land given to the Tata Group. This has made him popular and an acceptable face among voters. He also enjoys the backing of strong tribal leader and minister in the Chhattisgarh government Kawasi Lakhma. On the other hand, the BJP candidate and two-term former MLA Baiduram Kashyap is a fresh face in parliamentary elections, with no charges of any kind against him. Initially, there had been some resentment among BJP workers and followers of sitting two-term MP Dinesh Kashyap, to whom a ticket has been denied. Local sources said as no ticket has been given to any family member of Baliram Kashyap, resentment was obvious. After all, four-term BJP MP from Bastar, Baliram was known as "Balasaheb Thackeray of Bastar". BJP corporator and Leader of Opposition in the Jagdalpur Municipal Corporation, Sanjay Pandey said, "The Congress government has decided not to implement Central schemes like Ayushman Bharat Yojana. The smart card meant for PDS isn't working. They have discontinued 'Daal-Bhaat' centres that provided meals at Rs 10 to the poor. 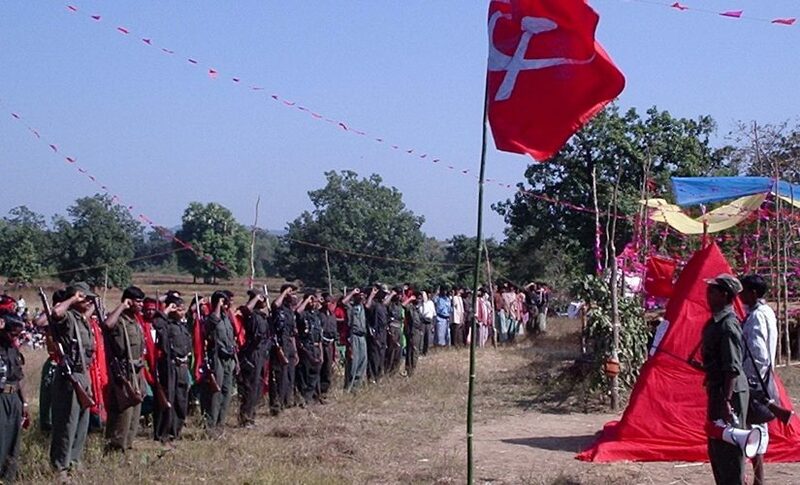 The Naxal threat has escalated in the past three months. These will go against the Congress." "In the Assembly election, the BJP lagged by 77,000 votes in Jagdalpur. But, this time, it'll win by more than 20,000 votes. BJP candidate Baiduram Kashyap is non-controversial and hard working, with a clean image. Now, he has an active support of both Dinesh Kashyap and his brother Kedar Kashyap, who was minister in Raman Singh government, ” he said. Both the BJP and the Congress have been trying to draw leverage from the unending Naxal problem that has escalated in south Chhattisgarh. While the Chhattisgarh chief minister Bhupesh Baghel has announced a high-powered committee to find out about the innocent tribals who are languishing in jails as 'fake Maoists', the BJP is taking forward Modi's national security narrative and its aggressive posturing policy against Maoists. While the urban voters in Jagdalpur city or Dantewada town are relatively vocal about their preferences, the rural voters are silent. According to political observers, undoubtedly there's a favourable undercurrent for Modi, which may turn the tables in the BJP's favour. Initially, after the BJP announced its candidates for 11 Lok Sabha seats — all new faces, the Congress viewed it as a 'walkover'. The party had been considering the Bastar Lok Sabha seat a 100 percent win. However, with the passage of time, this tribal seat in the Maoist hotbed has become challenging for both parties. The contest has grown tougher and more interesting. "Initially, the party thought it would win 10 seats, but as of this time, the Congress will comfortably win seven to eight seats. For the Congress, the Bastar seat is winnable but not one-sided anymore. The fight here is between Modi and the Congress," a Chhattisgarh Congress leader, who is also a part of the party's strategy planning team told Firstpost on condition of anonymity. "Let me be clear, there's no Modi wave now as it was in 2014. Congress will win the Bastar seat comfortably," Doshi said. Meanwhile, Pandey countered, "Besides other factors in favour of the BJP, people want to see Modi prime minister. The BJP will win the Bastar seat."